We welcome your comments, questions or concerns. And we promise to always respond with honesty and clarity. We’ve made it simple for you too –you can email us, connect with a member of our staff by phone, or simply stop in to our office. 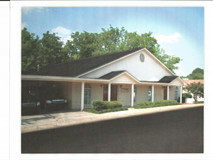 We ask just one thing: if you have immediate need of us, please call (662) 323-6674.